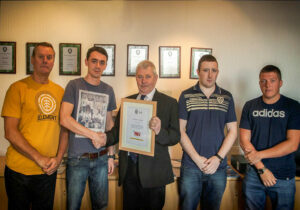 Shown above are Stuart Boddye, Jake Briggs, Lawrence Redgraves and Max Stockley with David Billington, Managing Director and the IOSH Certificate of Recognition. 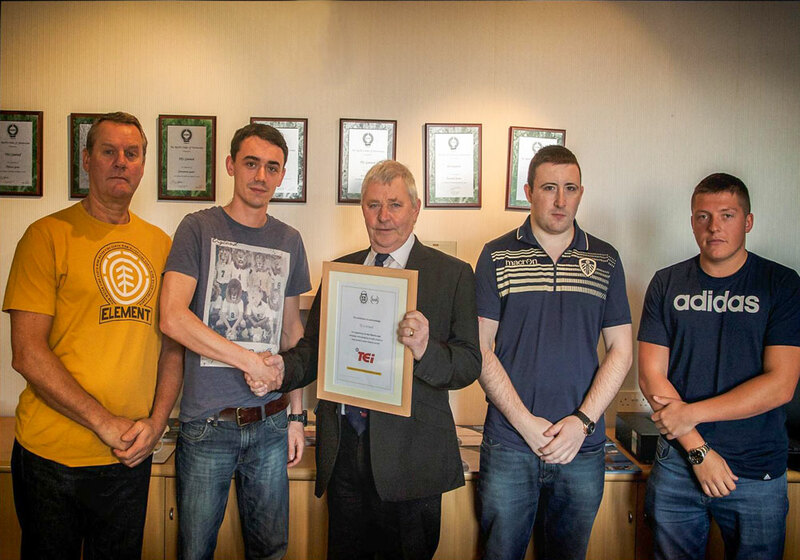 The company is pleased to announce that The Institution of Occupational Safety and Health (IOSH), regarded as the foremost authority representing employers across the UK in health and safety management, has recognised TEi Limited as a supporter of their ‘No time to lose’ campaign. Currently there are some 120 organisations listed on the IOSH campaign register across all industries with many clients of TEi pledging their support to this worthy cause.